Grandma would approve of my apple pie in a jar. It’s all of the flavor and fun of this American staple crammed into a jar. 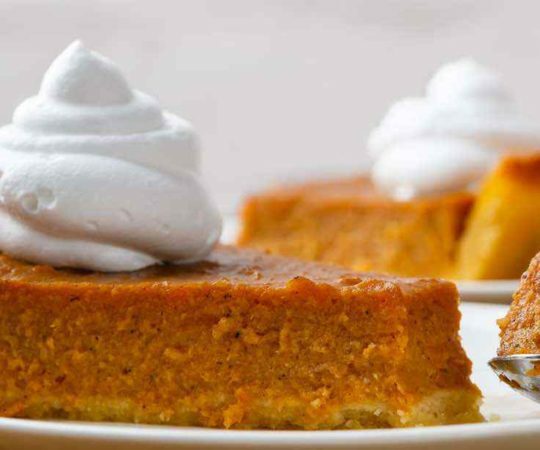 From the filling to the crust and even the whipped cream, it’s all here and ready for you to dive in. Maybe you’ve seen the “in a jar” trend. It seems like everything is fair game for attempting to put it in a jar. From cookies to salads a jar is a novel means of transportation and since it’s crystal clear it displays the food nicely. 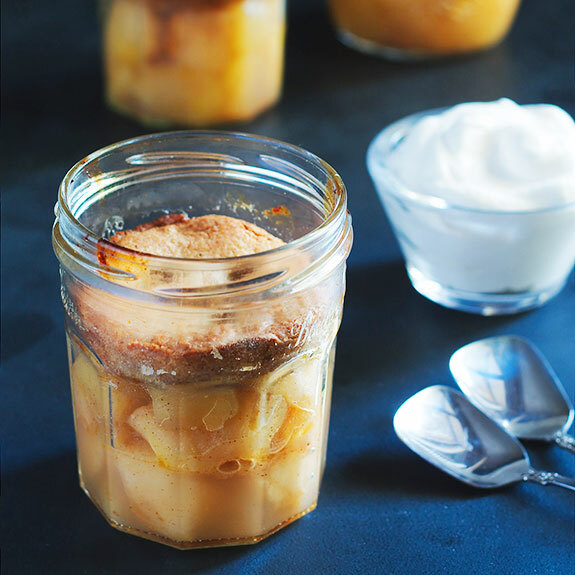 The goal for this recipe was to take everything there is to love about apple pie and put it in a jar without sacrificing any flavor. 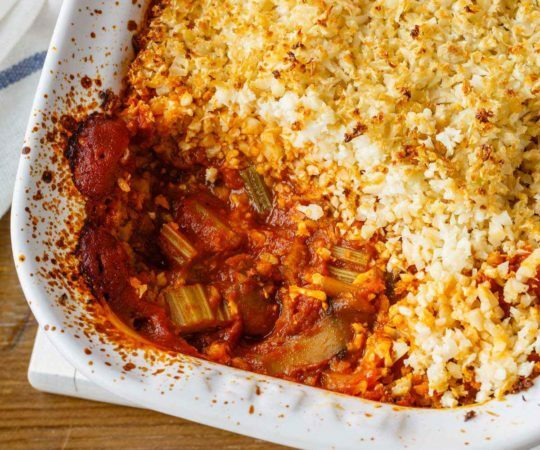 The trick was to make it Paleo friendly so you can enjoy it without any reservations. For the crust we’re using almond flour which takes out any concerns for wheat or grains, and even includes an egg yolk for some protein. The filling is the part that will win most people over since that’s where the apples shine brightest. I went with Granny Smith apples because of their intense flavor, but any apple can be used here with varying results when you’re finished. Some apples are sweeter than others, and some are more tart, so it’s really up to your personal preference. For some sweeter varieties try Pink Lady or Honeycrisp. What makes this so fun to eat is that it’s all in a jar, so everything is self-contained. 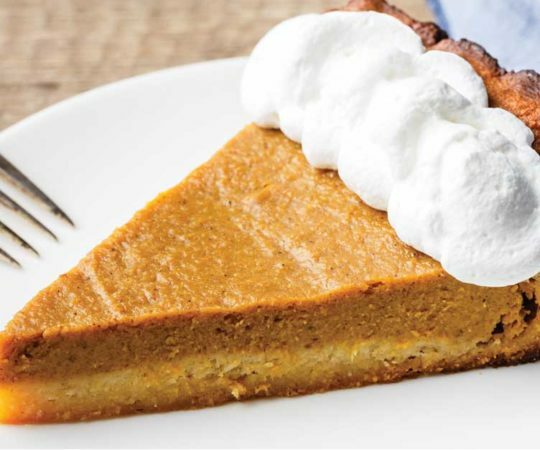 It’s kind of a deconstructed apple pie, with the filling on just the bottom and the crust on the top and a dollop of whipped cream on top of the crust. 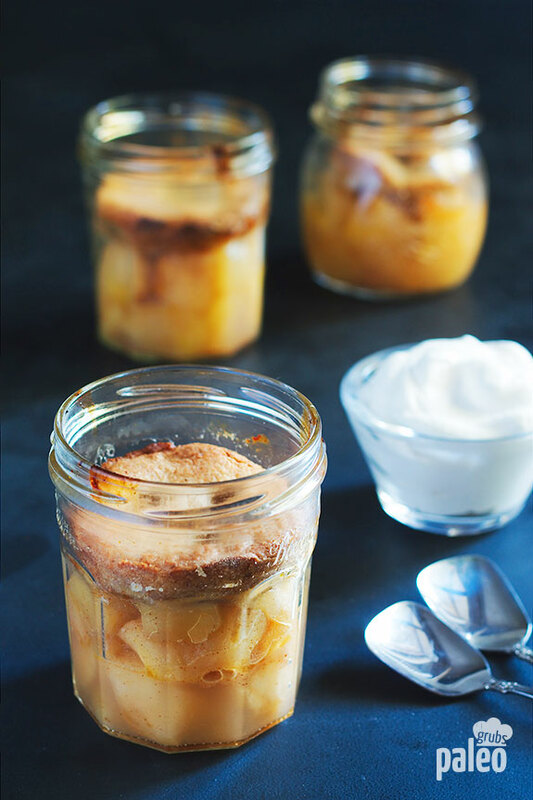 It’s almost like upside down apple pie in a jar and this works for a few reasons. First, the crust keeps the filling contained so when you go to enjoy it it’s all in one place and not scattered all over the jar. Second, and most importantly, when you go to eat it the crust will be at the back of your spoon and the filling will be at the front. 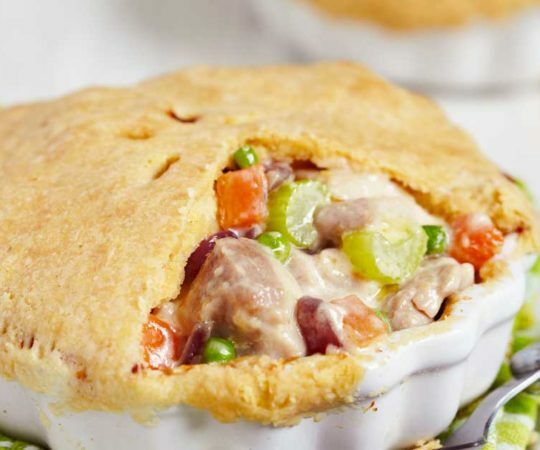 This means the first thing your taste buds get is the filling, followed by the crust. 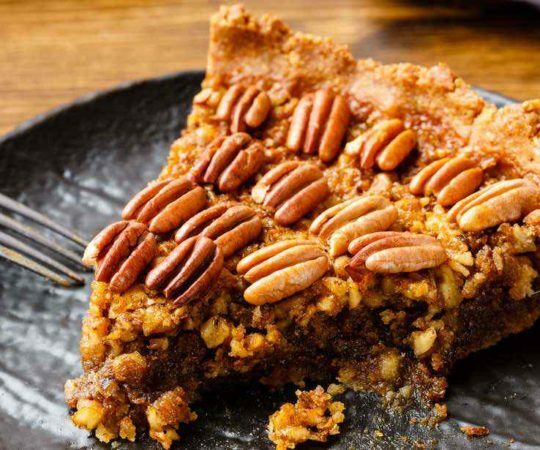 It makes for an interesting experience and adds to the appeal of this tasty dessert. I’ve used this in a number of situations. I’ve brought it to work as a great pick-me-up to get me through a long day. I’ve also made ten at once when I hosted a get together. It was a topic of conversation and everyone loved it. Other scenarios where a pie in a jar works great is at a picnic so you don’t have to concern yourself with keeping a regular pie upright and stable. However you decide to enjoy this it will always come through for you. 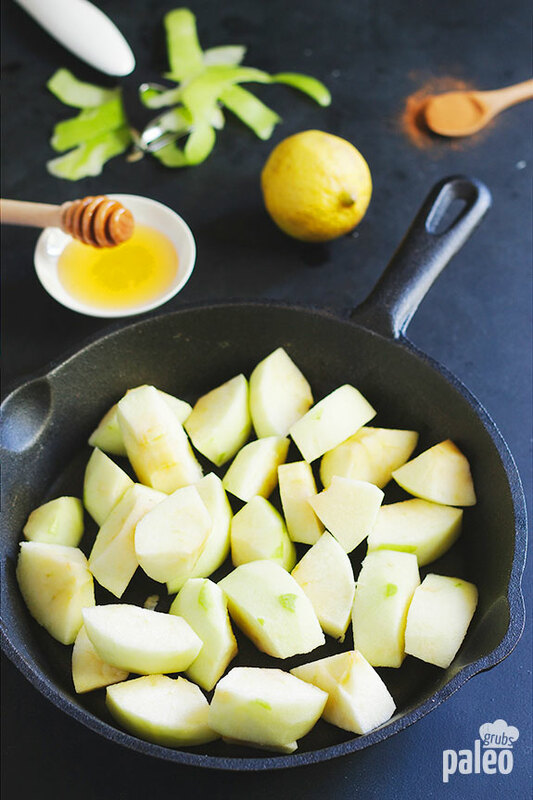 There’s plenty of sweetness from the honey, as well as the best spice for apples thanks to the cinnamon. 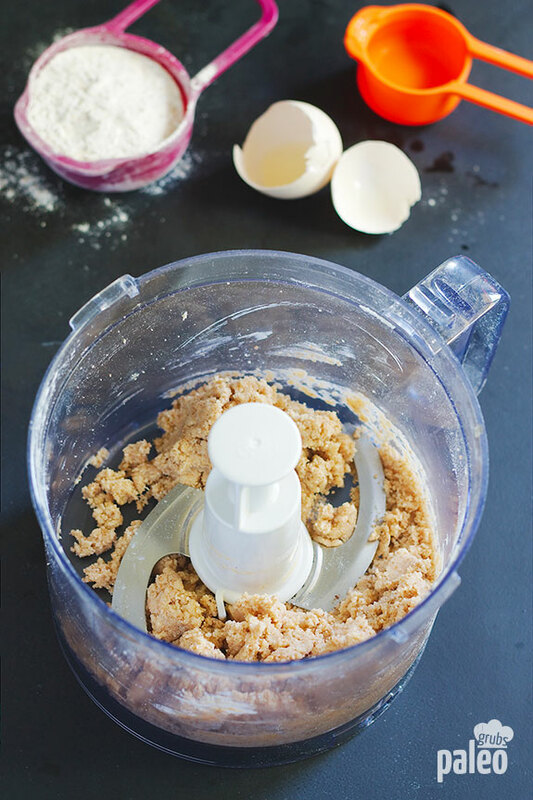 Place the almond flour, coconut oil, egg yolk and honey in a food processor and process for 30 - 60 seconds until it forms a soft dough. Divide the dough into 4 balls and place the balls on a piece of parchment paper. Place in a freezer for 20 minutes. To make the filling, heat the coconut oil in a large skillet over medium heat. Add the apples, honey and lemon juice and cook until apples have started to soften, approximately 5 to 10 minutes. Add the lemon zest and cinnamon and cook for one more minute. Remove from the heat and set aside. Take the dough out of the freezer. Roll out the balls into 4 circles. That will be the tops of your pies. Use a small cookie cutter to cut a few holes. Fill 1 cup wide-mouth jars 2/3 full with apple filling and top with dough circles. Cool at room temperature. 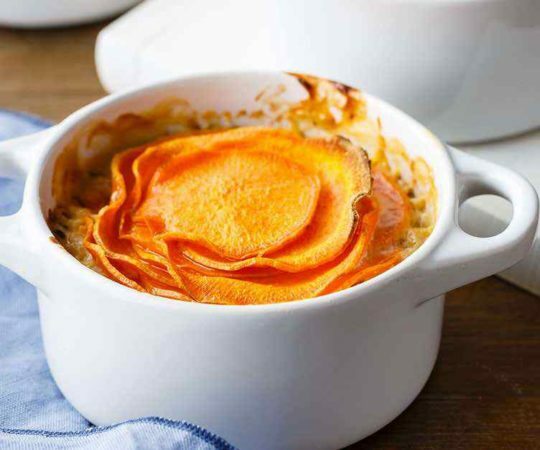 Serve with whipped coconut cream if using. I notice that the paleo diet seems to use a lot of almond flour mixed with coconut flour. I can use the coconut flour, but I’m highly allergic to nuts. I can’t eat any kind of nuts or anything made from nuts. Is there anything else I can combine with coconut flour to make paleo baked goods or pancakes? Hello and good day. I already receive your e-mail messages and also have your Cookbook. Wanted to tell you how much I enjoy both (especially the Cookbook). As A person who has cooked for years ( my gal and I have a combined cooking and baking experience of 117 years! Yes, we are getting up in our years and started early on in life.). After all these years we are doing our very best to change our eating habits; we have both lost around 40 lbs in the process and are very pleased to have your materials to help us along. Having both cooked all these years we are very aware of the efforts put worth, on your part, in creating your Cookbook, as well as the other helpful materials you generate. We can’t possibly thank you enough; but thank you so much and keep up the excellent work. Sounds great. BUT, word of caution – make sure the cinnamon is Ceylon and not Cassia. This is true for all cinnamon usage. The Cassia variety is much cheaper but not good for you. Google and find out why. Would gelatin work as an egg replacer in this recipe? A little more information on the jar, please: any old jar? masonry jar? How many oz typically for the jar? Is there something I could substitute for the almond flour as I have an allergy to almonds. I used tapioca and coconut flour – can they be used? If so, how much. Are you sure you mean 1cup widemouth jars and not one pint widemouth jars? could you bake and freeze these? 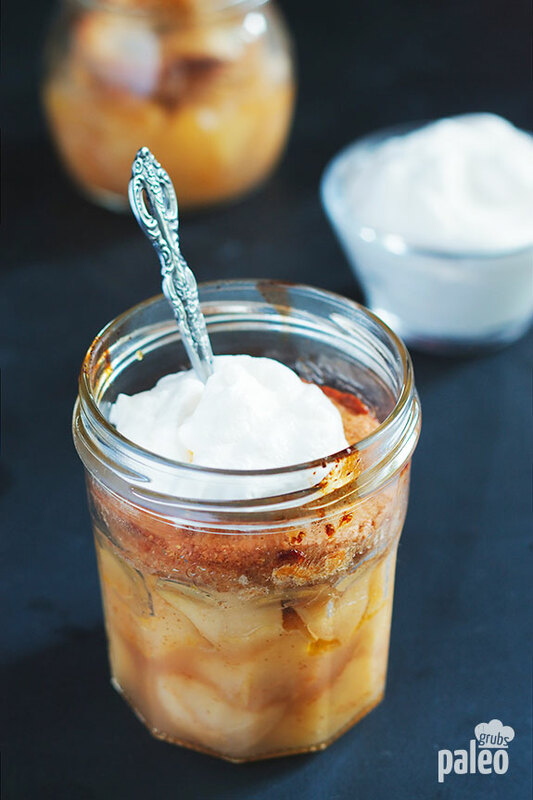 Can Grandma’s apple pie in a jar be cooked in the microwave instead of an oven. Do not have an oven in our caravan.